Many people feel that buying a narrow lot automatically means they can only build a small home or else they need to give up their back yard in order to make the home a little more spacious. This is false. Another misconception is that when it comes time to sell, narrow lot homes are less appealing to prospective buyers, less likely to sell due to the small size and you’ll never make back the money you have spent building it. Again, this is not necessarily the case. Narrow lot homes in Perth are actually becoming increasingly popular for several reasons and reports suggest that in the near future lots will become even smaller still, with some getting as small as 80sqm! It is hard to imagine, but these size lots are already a normal part of the real estate industry in big cities around the world. To combat the lack of ground space, owners build upwards instead of outwards and using smart design strategies they can incorporate clever, functional storage ideas into their homes without the need to skimp on space. Sure when the lot sizes get down to below 200sqm, you are more likely to have no backyard but you can combat this by choosing a narrow lot home design with a balcony (or multiple balconies) so you can still enjoy sitting in the sunshine or entertaining guests. A common size narrow lot at present is between 200 and 400sqm which is still big enough to fit a two storey, family-sized narrow lot home with a small backyard for the kids and pets or for your outdoor entertaining purposes. For those who only need a small mandurah homes, or are trying to enter the housing market in Perth narrow lot homes could be a perfect option for you! One reason is because narrow lots of land are generally much cheaper to buy and smaller homes are cheaper to build, therefore people on lower incomes will find more affordable housing options via this avenue. Because narrow lots are becoming more popular, there should also be no trouble in selling these off in a normal housing market- it all comes down to when you choose to sell, not the size of the home. 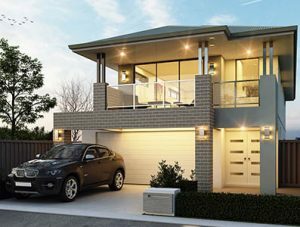 What Benefits are there in Choosing a Single storey home in Perth?